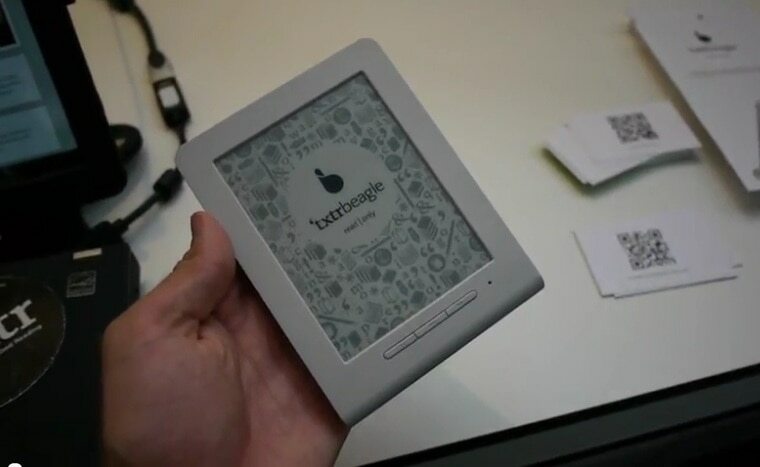 I have long said that txtr made a mistake when they introduced the beagle, their glorified picture viewer pretending to be an ereader, because for a small increase in cost I thought they could have spent a small amount more and given the beagle a real ability to display ebooks and not just page images. Unfortunately for me it looks like I might have been wrong. It turns out that the beagle might not need any extra hardware ability to turn it into a real ereader - just the right software. Last week a reader reminded me about an old device called the MicroTouch. I haven't mentioned this gadget since October 2011, but the reason it came to my attention at the time was because the developer of the MicroTouch had created a basic ebook app for it. The MicroTouch was a DIY kit, not a PDA, media device, or anything impressive. It was originally conceived as a minimal function alternative to the iPod Touch and then developed for its own sake. It had minimal hardware and ran on a 16MHz CPU. The MicroTouch couldn't display Epub ebooks on its own, but it could let you read a condensed version of an Epub called an EPB. You had to run the ebooks through a conversion app before loading them on the MicroTouch, but once you did you could then read a real ebook with text and images. 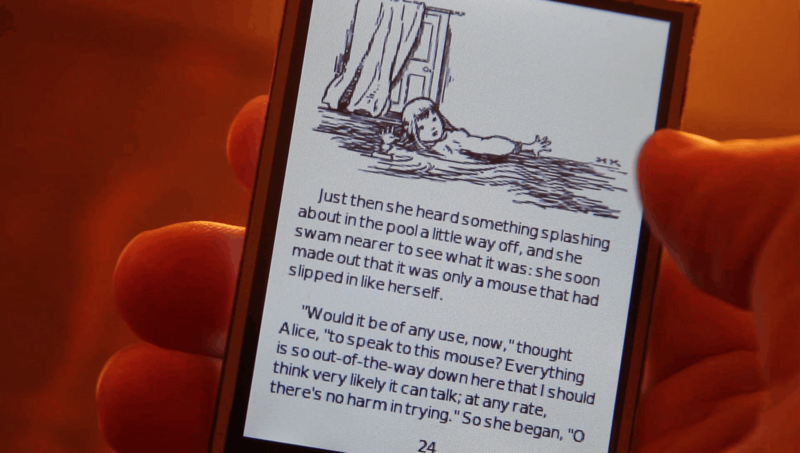 Here's a demo video of the MicroTouch which shows off the ebook app. The reason I am mentioning the MicroTouch is because it ran on a 16MHz CPU. From what I can tell, the beagle has a faster CPU and probably better specs all around. And yet it can only show page images (but not ebooks). Then again, I'm not a hardware person. I'm posting this in the hopes that someone who does know hardware development can look at the beagle's FCC filings and compare them to what little we know about the MicroTouch (here). I'm hoping to find out if the beagle does indeed have better specs. If so then what are the chances that the only thing keeping it from being an ebook reader is software, not hardware? If that's true then it means txtr either flubbed the software development or deliberately chose to limit the features and abilities of the beagle. But no matter what the reason for the limitations, if this device is powerful enough to be an ereader then it would well be worth buying a few and handing them out to developers/hackers. You know,there is a far better example than the microtouch. The original Palm Pilot ran full ebook reader apps without need for external conversion: both ereader and mobipocket originated on the Palm. And we’re talking a 16mhz. Cpu, 128kb ram and 512kb storage. So yeah, the Beagle coulda been a contenda. Yes but those ebook formats don’t have an many features as Epub. On the other hand, the Epb format used on the MicroTouch sacrificed a lot of features as well. Maybe I should have considered the early Palm Pilots. If I had then I would have been able to heckle txtr for making an ereader that was less capable than a 16-year-old PDA. A low-grade 16 year-old PDA. At release, the Palm Pilot CPU was already a decade out of date and its RAM and storage were straight out of the early 80’s. The Beagle has a better CPU and way more memory and storage so it should be able to handle at least Mobi or FB2 format. Also worth considering: the very-old Atari ST (8MHz CPU) has web browsers available so you *can* process HTML with vintage CPUs. More important, though; the cost savings from going with their design to one using even an aging ARM7 cpu is near zero. The Trekstore Mini proves that. A bad idea poorly executed. It looks like the uc on this is a NXP LCP1313. It is an ARM M3 core device. It has a max clock speed of 72MHz. That should be about a 90MIPS device. I am sure that a lot can be done with a device like it, but I am not sure that it could support the rigors of displaying data. It seems to me that the original Kindles had a chip that could clock in at at least a few hundred MHz. I have included a link to the spec sheet for the device.